WIN a 6-month subscription to our Tasting Club – and the chance to have your idea brought to life! You look like the kind of person who has good ideas. Whether it’s a chocolate, cocktail, hot drink or restaurant dish, if you’ve got an idea that involves cocoa, you could be in with a chance of winning a 6-month Tasting Club subscription – or six months free if you’re already a member – and having your creation brought to life! Eton Mess, Mint Royale and Cara-sel: some of our most popular chocolates were dreamt up by our Tasting Club members as part of our Create-a-Chocolate competition. 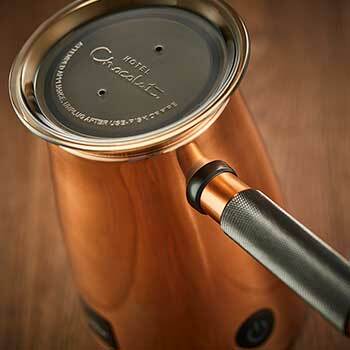 Now, Create a Chocolate Masterpiece invites Hotel Chocolat guests to try their hand too. Send us your drawing and an unforgettable name and it could go on to become the next award-winner or customer favourite! Entries can be submitted all year round, with a winner chosen every three months. Your chocolate could feature in forthcoming Tasting Club boxes, which will be scored by our members! The Tasting Club is a monthly subscription, and 100,000 of our members come home to an exciting new box of chocolates. Every tasting box comes with a scorecard. By scoring chocolates they influence the development of new recipes, with the highest rated starring in Hotel Chocolat products. What do you want to create? Describe your idea. It can be a drink, dish, chocolate – as long as it contains cocoa! What ingredients would you use? Molten caramel? Raspberry ganache? Amaretti biscuit? What goes into your creation? Draw Your Creation Sketch a cross-section of your chocolate, dish or drink all served up. Don’t forget labels! What would you call it? Like the greats - Dizzy Praline, Going Nuts, Apple of My Eye – have fun with your name! What makes it special? The splash of small-batch whisky? The twist of guava? Why is your creation the best?